2018 saw many changes at EPA, including the departures of EPA Administrator Pruitt and his chief lieutenant responsible for Superfund reform and the Superfund Task Force, Albert “Kell” Kelly. Nonetheless, the Superfund Task Force continued its work under the leadership of Deputy Assistant Administrator Steven Cook. 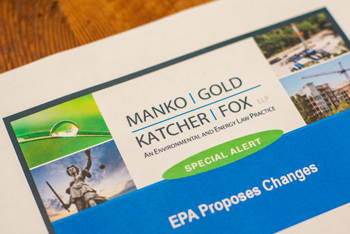 After a series of EPA sponsored “listening sessions” in 2017 and 2018, on July 23, 2018, EPA issued the “2018 Update” to the Superfund Task Force Recommendations, approximately one year after the initial publication of the Task Force Recommendations. In 2019, EPA will continue to focus attention on the Superfund process and we can expect EPA to use the Superfund Task Force Recommendations as a blueprint for expediting cleanups and to encourage redevelopment of formerly contaminated sites.